Panama City Toyota & Servpro of Bay County proudly present the inaugural Fun in the Sun Mud Run community challenge coming to Panama City on March 3rd, 2018. Event will be heald at HG Harders Park 7900 John Pitts Rd, Panama City, FL 32404. This community event is powered by The Sleep Center and will be a muddy 5k obstacle course run with a Vendor Village and a Kids' Fun Run. This is a family friendly event for all ages to enjoy. Please get involved today. Proceeds will benefit local charities in Bay County, Florida. Please save the date and come have some Fun in the Sun! The 5K (3.2 miles) course will involve a muddy obstacle course with running and climbing that requires a bit of hand and eye coordination and lots of muddy play. Our course is designed to be challenging and fun! The Kids' Fun Run course will involve a muddy obstacle course with running and climbing that requires a lot of giggles and smiles. The mud will be aplenty and memories will be forever cherished. Bring the camera! The Vendor Village will be carefully created to present very specific companies geared towards the active lifestyle of those who enjoy events like Tough Mudder, Mud Runs, Obstacle Courses and other exciting activities! Thank you for your interest in Panama City, Florida's inaugural Mud Run. We have lots of exciting things to present to you and we need your help in making this a successful event and ask that you save the date (March 3rd, 2018) and make plans to enjoy the muddy Fun in the Sun with us. Registration is open on Active.com. Connect with us Facebook for more muddy fun. The inaugural Fun in the Sun Mud Run is presented by Panaam City Toyota & Servpro of Bay County. Our title sponsor is The Sleep Center, your premier source for mattresses in Panama City. And our first platinum sponsor is Mica Specialties, a leading digital advertising agency located in Panama City, Florida. These businesses have a proven track record with charity events, and we want you to be a team member, too. Please call Lisa Kerns with Panama City Toyota at (850) 276-0172 or Talena Grawburg with Servpro at (616) 540-4101. We have lots of ways for you to be involved as a sponsor or community partner. Do you already have your Active.com account set up? 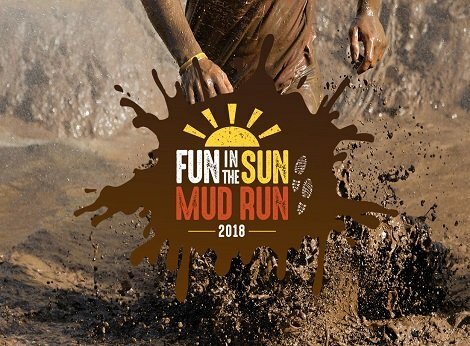 If so you can quickly and easily register for The Fun in the Sun Mud Run event. Simply click the button below and sail onward. Once you do you will be ready to run with us on March 3, 2018. We appreciate your participation and so do our charities. Maybe you're a Raceentry.com fanatic let so many others? If so you can jump right in the the Fun in the Sun Mud Run and conveniently register right now. It just takes a click so please just do it. Afterwards you will feel the excitement and can begin your journey forward to March 3, 2018. It won't be the same without you.